Congratulations to ‘TEAM ANAKPANYU’ – 3RD PLACE. The ‘BEST’ achievements so far. 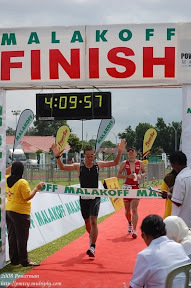 Congratulation to Hj Huzaimi Abas – His 1st triathlon.